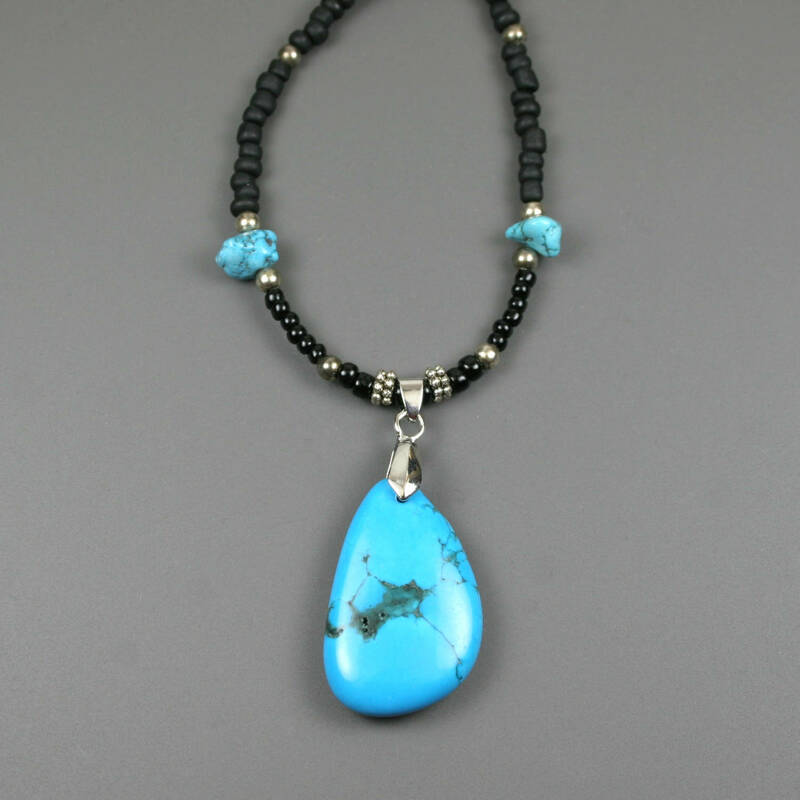 This pendant is made from turquoise magnesite stone in a teardrop-like shape and is 35mm long and 22mm wide. 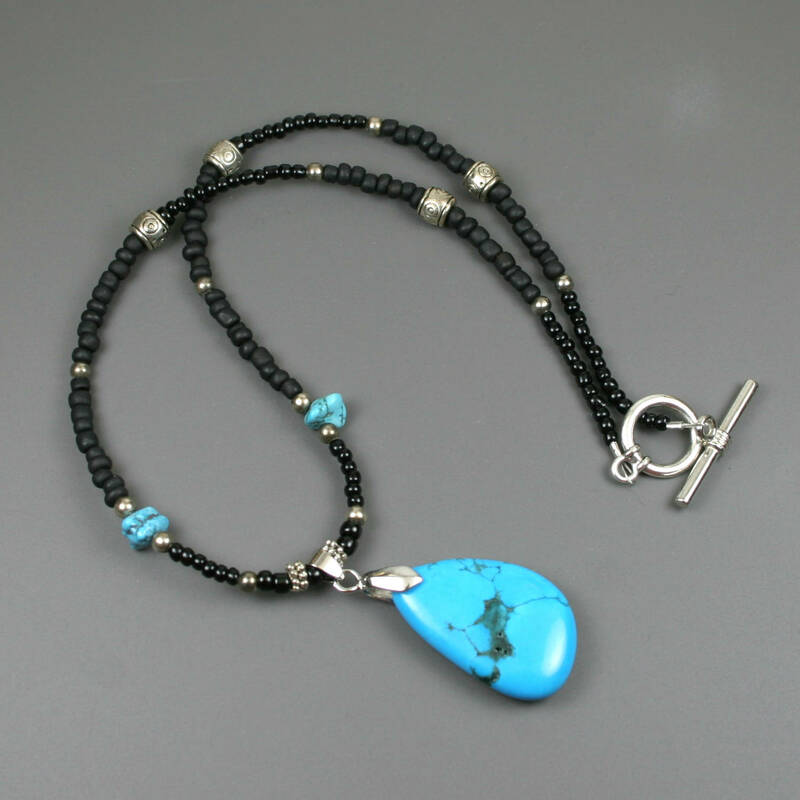 It is fully rounded on both sides to make it completely reversible. 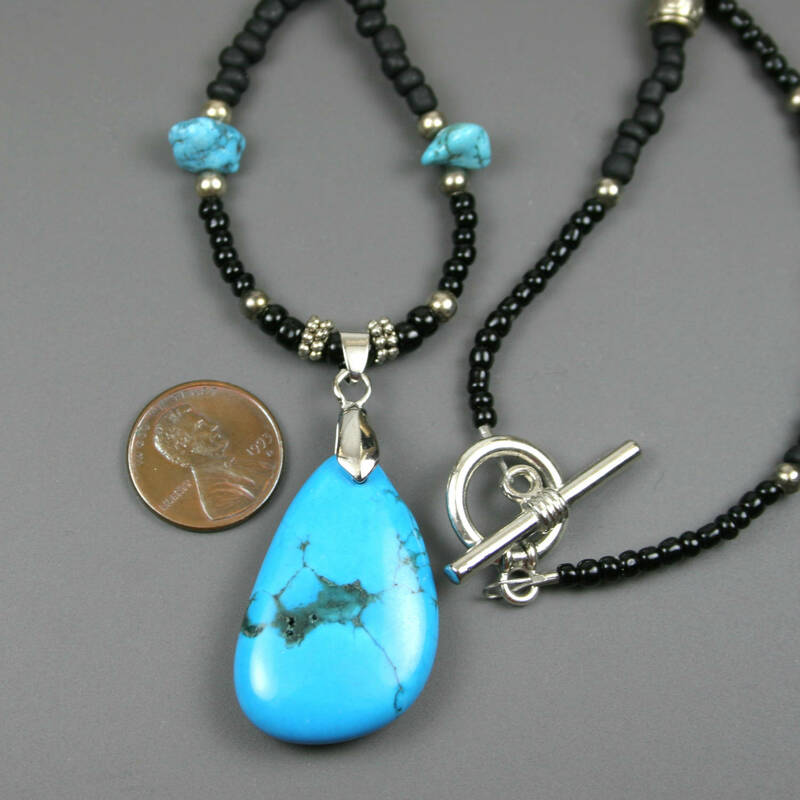 It is suspended from a beaded strand using a silver colored swing bail. 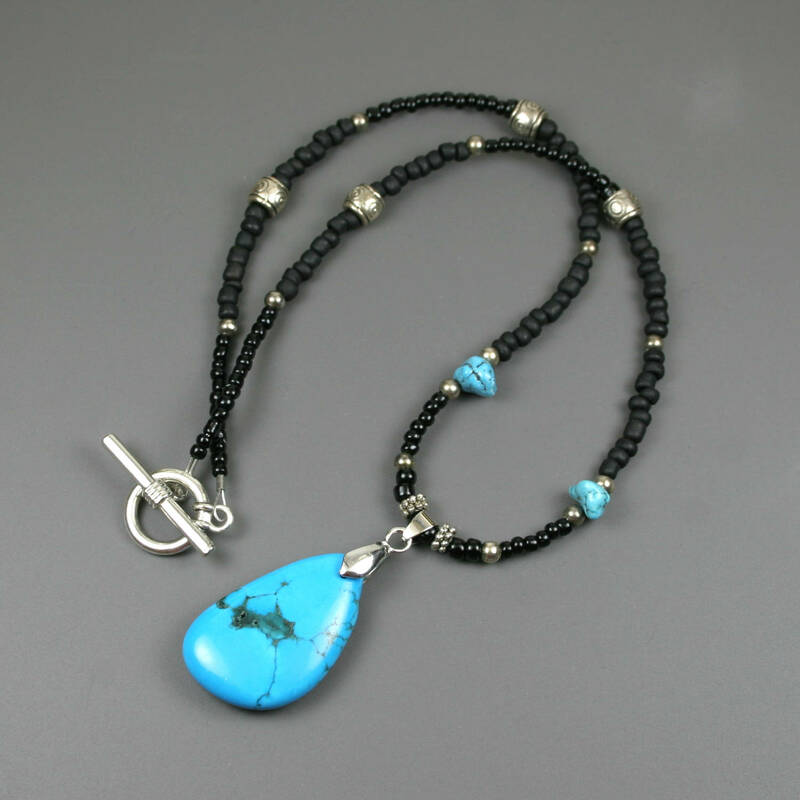 The strand includes black glass seed beads in matte and shiny finish, turquoise blue stone chunks, and antiqued silver colored beads in various shapes. It is all strung on wire. 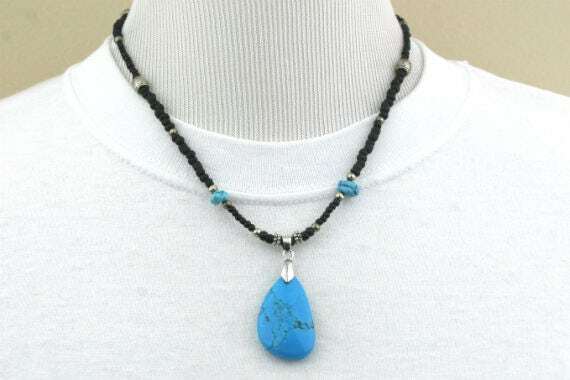 The necklace is approximately 19.25 inches long and closes with a toggle clasp closure.